From day one, our focus has been on specialized processes that can significantly improve products for multiple industries. These processes are at the core of our business and are the reason we improve component performance throughout many industries. Year after year, we have continued to develop our knowledge and capabilities, and we now offer one of the longest lists of in-house processing solutions in the world. 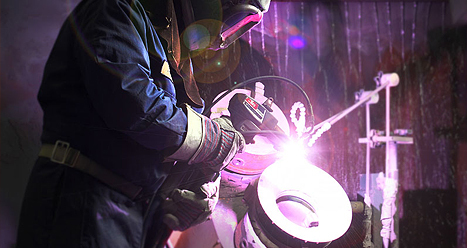 Currently our roster includes plating, metalizing, furnace brazing, welding, machining and dynamic balancing among others. We offer both chemical conversions and electrodeposited plating for engineered deposits, corrosion prevention or processing preparation — all of which are processed and certified to national standards. Engineered deposits include multiple options in nickel, chromium, copper, tin, and silver, while our corrosion prevention and processing preparation include options in anodizing, phosphating, zinc, and cadmium, as well as multiple active metal sealings and picklings. Using either flame, plasma, wire arc or cold spraying techniques, we can apply abradable, ceramic, carbide and fusible coatings to a wide array of substrates. We also employ a robotically applied High Velocity Oxygen Fuel (HVOF) system for applying thermal coatings with properties comparable to plating, with minimal environmental impact. A thermal spray technician applies a bond coating to a thin-walled complex curve to aid in adhesion of the final dimensional build coating. A brake housing receiving a uniform deposit of electroless nickel plating for enhanced corrosion and wear resistance. Solutions for Aviation customers worldwide. Complete list of all special processes that we utilize in the repair and overhaul of aeronautical products. See the benefits of having your flighting chrome plated for wear resistance. For the conveying solution that a normal auger just won’t stand up to. Have a look at what extreme wear applications can mean for you. 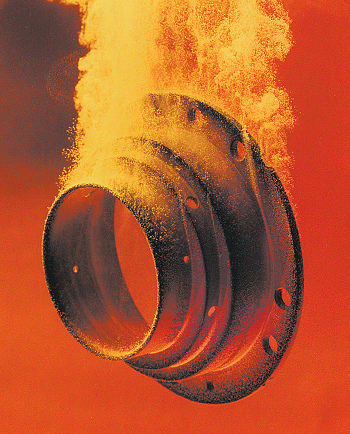 Reduce downtime with our extreme wear solutions. Extend the life of your components and reduce your repair costs. Information and specifications are detailed for HVOF and hard chrome wear coatings. We maintain ISO certifications for our manufacturing and special processes. See our most recent approval certification. Our precision, robotic applications of HVOF as a wear coating provides un-matched durability and bond strengths.